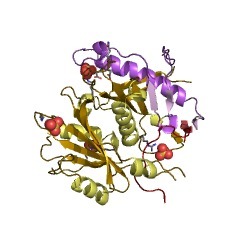 The Brix domain is found in a number of eukaryotic proteins including SSF proteins from yeast and humans, Arabidopsis thaliana Peter Pan-like protein and several hypothetical proteins. 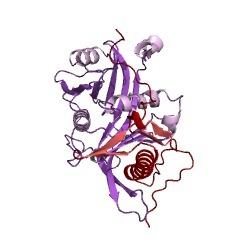 Typically, a protein sequence belonging to the Brix domain superfamily contains a highly charged N-terminal segment (about 50 residues) followed by a single copy of the Brix domain and another highly charged C-terminal region (about 100 residues). The archaean sequences have two unique characteristics: (1) the charged regions are totally absent at the N terminus and are reduced in number to about 10 residues at the C terminus; and (2) the C-terminal part of the Brix domain itself is minimal. 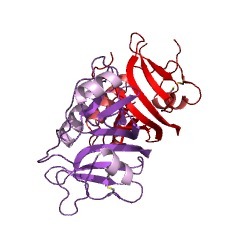 Two eukaryote groups have large insertions within the C-terminal region: about 70 residues in the group III and about 120 in the group II. Biological data for some proteins in this family suggest a role in ribosome biogenesis and rRNA binding [(PUBMED:11406393), (PUBMED:11246005)]. There are 8454 Brix domains in 8450 proteins in SMART's nrdb database. Taxonomic distribution of proteins containing Brix domain. This tree includes only several representative species. The complete taxonomic breakdown of all proteins with Brix domain is also avaliable. Click on the protein counts, or double click on taxonomic names to display all proteins containing Brix domain in the selected taxonomic class. Ssf1p prevents premature processing of an early pre-60S ribosomalparticle. Ssf1p and Ssf2p are two nearly identical and functionally redundantnucleolar proteins. In the absence of Ssf1p and Ssf2p, the 27SA(2)pre-rRNA was prematurely cleaved, inhibiting synthesis of the 27SB and 7Spre-rRNAs and the 5.8S and 25S rRNA components of the large ribosomalsubunit. On sucrose gradients, Ssf1p sedimented with pre-60S ribosomalparticles. 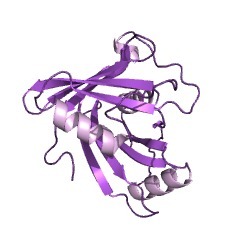 The 27SA(2), 27SA(3), and 27SB pre-rRNAs were copurified withtagged Ssf1p, as were 23 large subunit ribosomal proteins and 21 otherproteins implicated in ribosome biogenesis. These included four Brixfamily proteins, Ssf1p, Rpf1p, Rpf2p, and Brx1p, indicating that theentire family functions in ribosome synthesis. This complex is distinctfrom recently reported pre-60S complexes in RNA and protein composition.We describe a multistep pathway of 60S preribosome maturation. 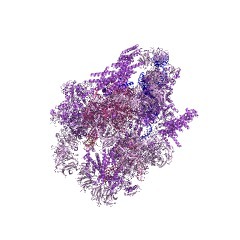 The sigma(70)-like motif: a eukaryotic RNA binding domain unique to asuperfamily of proteins required for ribosome biogenesis. 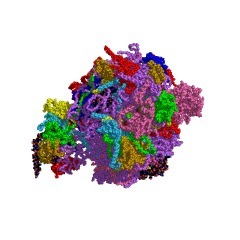 Little is understood about the role of nucleolar RNA binding proteins inribosome biogenesis, although there is a clear need for them based on thestrict folding requirements of the pre-rRNA. We have identified asuperfamily of RNA binding proteins whose members are required fordifferent stages of ribosome biogenesis. The Imp4 superfamily is composedof five individual families (Imp4, Rpf1, Rpf2, Brx1, and Ssf) that allpossess the sigma(70)-like motif, a eukaryotic RNA binding domain withprokaryotic origins. The Imp4 superfamily members associate with RNAs thatare consistent with their distinct roles in ribosome biogenesis andsuggest the mechanisms by which they function. The Brix domain protein family -- a key to the ribosomal biogenesispathway? Six (one archaean and five eukaryotic) protein families have similardomain architecture that includes a central globular Brix domain, andoptional N- and obligatory C-terminal segments, both with chargedlow-complexity regions. 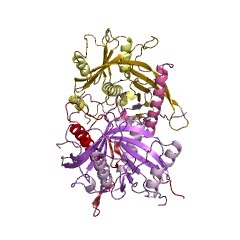 Biological data for some proteins in thissuperfamily suggest a role in ribosome biogenesis and rRNA binding. Lethal intoxications with centrally stimulating amines in Sweden1966-1973. Fatal intoxications with centrally stimulating amines (CSA) have becomeincreasingly common in Sweden. Toxicological data and pathologicalfindings of 32 cases of amphetamine and phenmetrazine intoxications whichoccurred from 1966-1973 in Sweden are described. Furthermore, 13 caseswhere these drugs were not the cause of death, but found in urine andorgans, are reported.